The axeing of 560 frontline jobs by the London Ambulance Service forced Nicholson to issue his second reminder in 72 hours to NHS managers not to cut back on the services they provide. It was the potential closure of ambulance stations in the capital and significantly increased use of solo paramedics to respond to calls that prompted his intervention. On Monday the Royal College of Nursing issued a dossier of evidence documenting 40,000 job cuts in the NHS and closure of services in areas such as mental health and alcohol dependency. This startling news confirms why many NHS Paramedics are jumping ship and are looking to work with Private Ambulance companies. Not only do private ambulances offer better job security, they also provide a technological advantage with no caps on investment except by their own pocket. MediCALL Southern commented , “We believe it’s all a matter of time before private ambulances play a bigger part within the NHS. Outsourcing such services is inevitable, especially when demand increases as a result of job cuts and staff walkouts. MidiCALL Southern Private Ambulance Service have again, invested in their fleet of vehicles and have purchased a new emergency response vehicle. 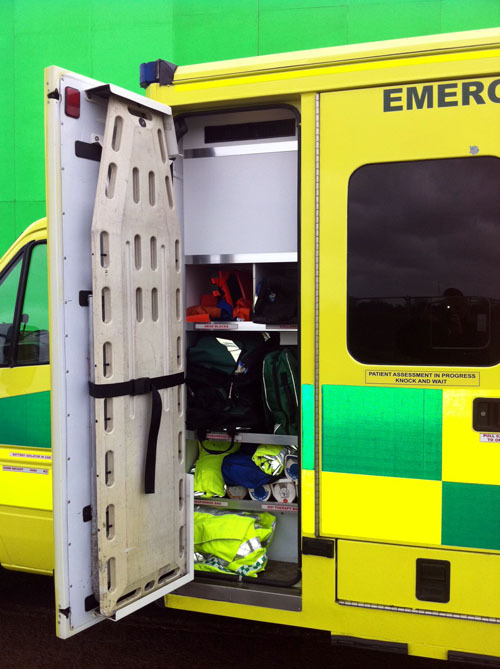 MediCALL Southern Ambulance Service is a rapidly growing company providing medical event cover and first aid cover to the private sector for events such as festivals, sporting events and private hospitals including Bupa. 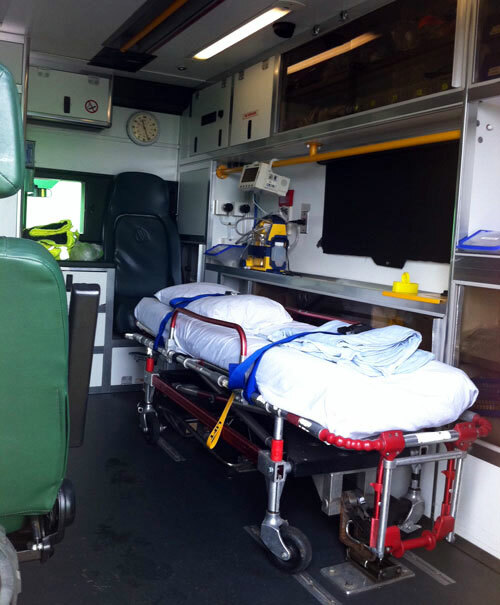 Private Ambulance Hire is available to the general public to and from nursing homes and hospitals for patient transfer and for community events. For more information, Please contact us for a quote. 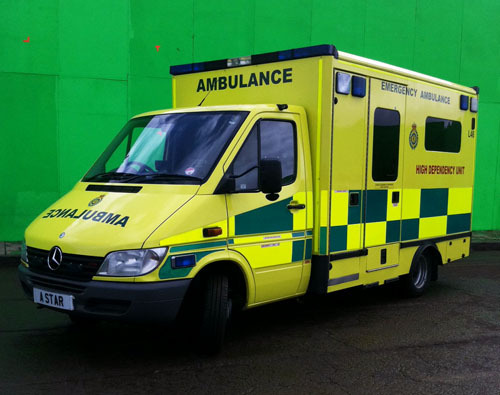 The Motion Picture House, known mainly for it’s Renault va va voom campaign is hiring a London Ambulance Service to supply first aid and medical cover for it’s productions. Filming such productions can be “high risk” due to extreme stunts and on-set hazards that requires a full medical team on standby. 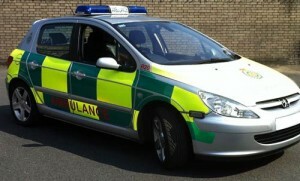 MediCALL Southern Ambulance provide private ambulance hire and a fully trained medical team. 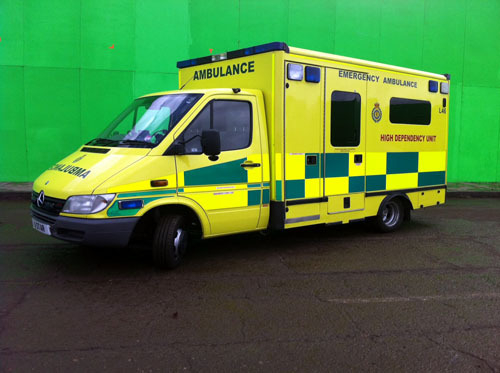 Private Ambulance Hire provided by (Your Company Name) Ambulance Service is today working in Pinewood Studios, providing medical services to the film crew of Sherlock Holmes 2. 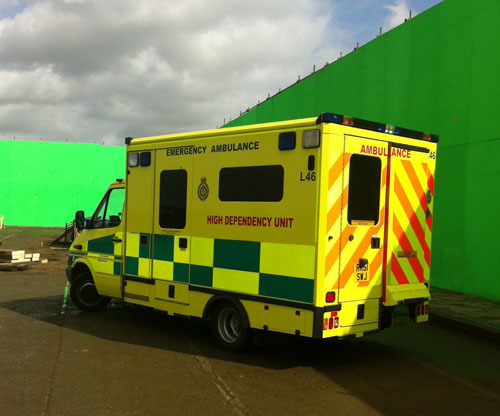 Parked up by Pinewood’s outdoor Green Screen, here are a few photo’s of one of our ambulances. 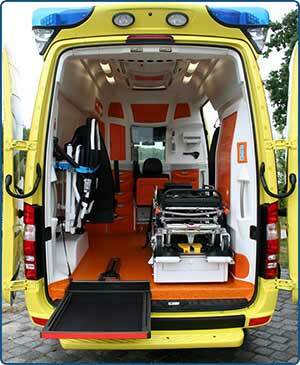 vehicles and have purchased a new ambulance. MediCALL Southern continue to invest heavily in the care of it’s patients and staff in order to provide the best service possible to it’s clients. MediCALL provide ambulance hire to the private sector, providing first aid cover for events such as festivals, nightclubs and sports.